In standard gemmological parlance, the description of the characteristics of an emeralds colour is broken down into three subsections. Hue – is the denotation of what most would call the colour of the stone. With an emerald it is universally green (whereas for Ruby is would be red), the colour can then be broken down into what type of green it is. These could include the presence of shades of blue or yellow, leading to descriptions like “bluish green” or “yellowish green”. Saturation – of a colour describes the intensity of a colour. From a scientific standpoint this is a measurement of the bandwidth of the light returned to your eye from the stone. 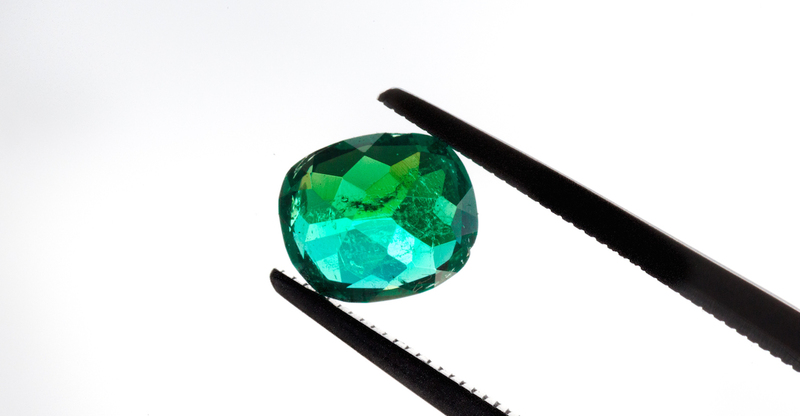 Saturation plays a large part in determining the grading of an emerald. Tone – of the emerald is a measurement of the lightness or darkness of the stone. This is gauged by assessing how much neutral colours of white, grey and black contribute to the overall colour. Having the right tone allows the stone to express its saturation and hue to its fullest potential.